Get all the necessary specialty tools required to remove and disassemble your Ski-Doo P-Drive clutch. All kit components are top quality and US built to last for years. 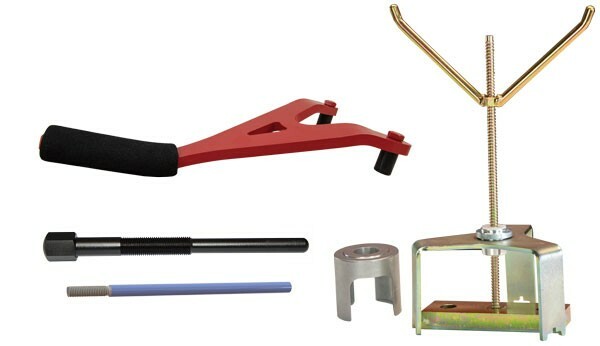 The kit includes a clutch puller and clutch holding tool for safe and easy clutch removal. It also utilizes a spring compression tool for quick clutch disassembly and spring removal and a weight/roller pin removal tool to easily remove the tapered weight and roller pins.